It's time for a new challenge at Seize The Birthday, and our theme is 'The Great Divide' - divide your card and/or focal point in half/thirds/etc. I sponged Distress Inks through a stencil, added torn washi strips and Distress Ink splatters, and a sentiment. 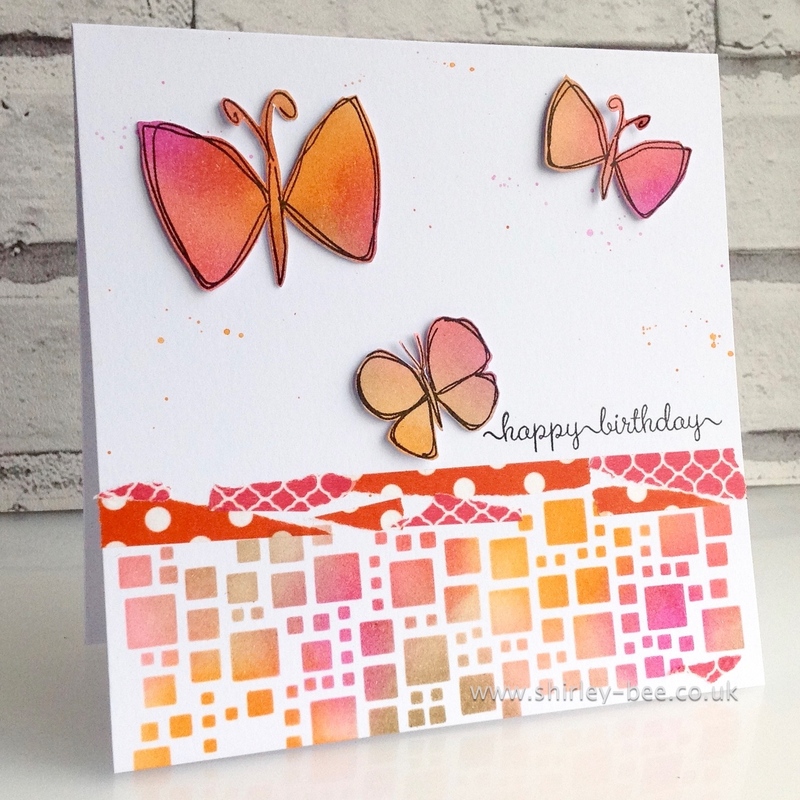 On a separate piece of card I sponged the same colours then stamped the butterflies from The Bee's Knees WingedThings, cut them out and popped them onto the card front. 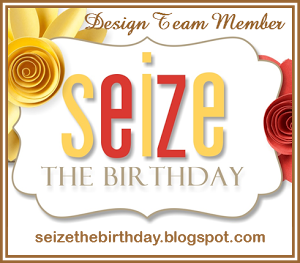 Pop on over to the Seize The Birthday blog for some more fabulous inspiration, and play along with us. If you're not keen on the topping for this challenge, that's fine, you can enter anything as long as it's birthday-themed. So cute! Love those happy little butterflies! So beautiful...love all that gorgeous pink and orange! 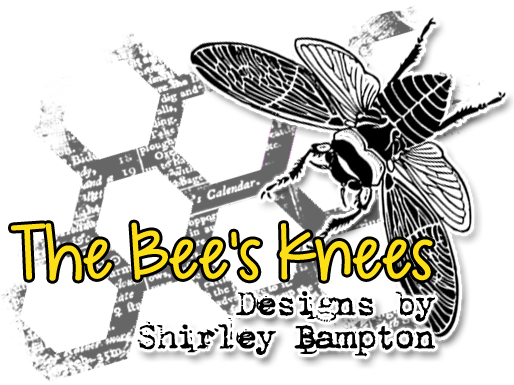 So fun, Shirley ... I'm with Kim on the orange/pink combo! Great card Shirley. Love the colors. Here you go again with a terrific card! 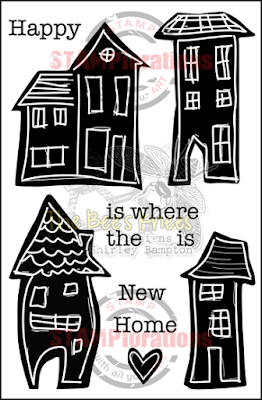 Love the bottom stencil and the way you used the Washi too! Super card! Beautiful in every every!! 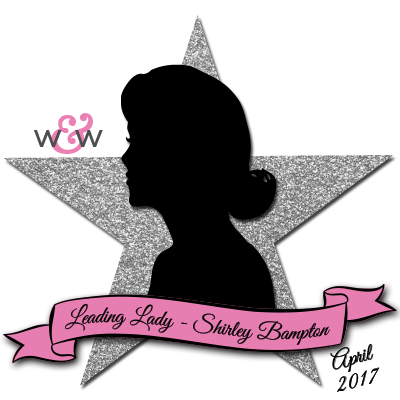 I love that stencil you used! 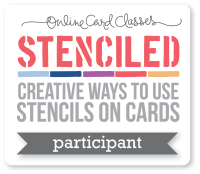 I'm getting to be crazy about stenciling - it just looks so perfect on cards!